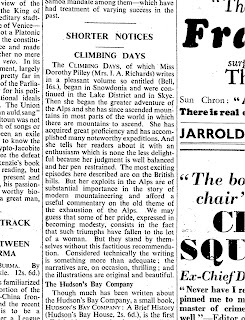 I have finally received the 1989 reissue of Dorothy Pilley's book 'Climbing Days'. It is quite a big book so it could take me a while to get through. On the inside of the cover she dedicates the book to I.A.R, Joseph Georges and All My Mountain Friends. I like the way she refers to her husband as a series of letters. 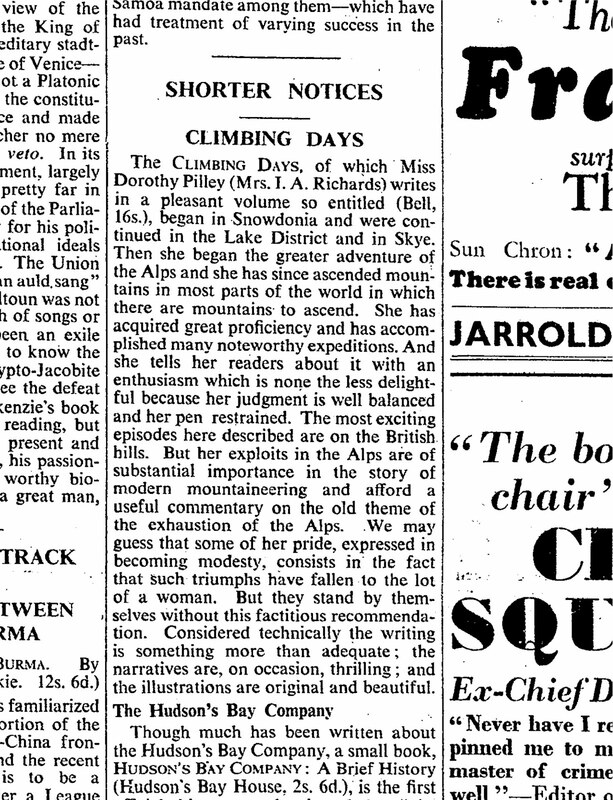 I have been looking through old newspapers to find out more about Mrs I.A.R. I found a review of her book that makes reference to illustrations. Disappointingly, my 1989 version contains not a single picture, diagram or squiggle. I now need to hunt down the original. In 1935 this cost 16 shillings - not cheap. Interesting fact: a Mr Broadhurst was paying 16/- (sixteen shillings) a week to rent his shop on Camden St, Birmingham. The original costs about £30 so I guess it costs the same as it did back then!